The Infant (under 6 years) rate will remain unchanged at €5, and the Supporting Membership rate will remain unchanged at €40. 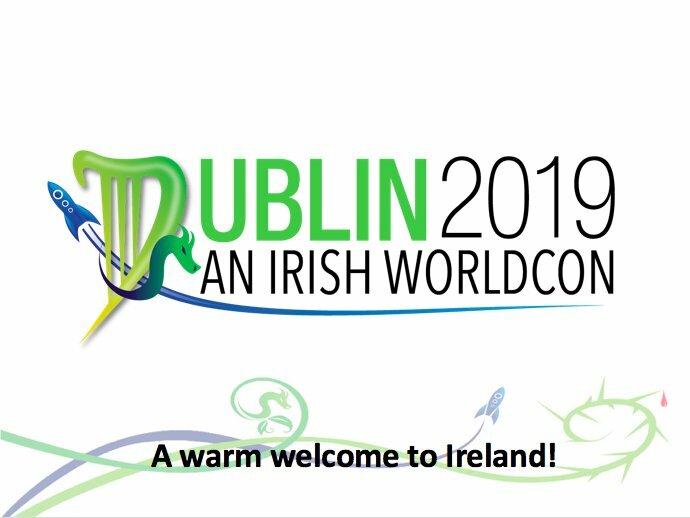 As part of the convention’s commitment to supporting families and children to attend this unique event, Dublin 2019 will also be introducing family plans and an installment scheme before the price increase takes effect. Details of these schemes will be announced separately during March 2018. Dublin 2019 currently offers a €5 discount on membership prices for pre-supporters and backers of the Dublin 2019 Bid. This discount will expire on Monday, April 2, 2018. Discounts for Friends of the Dublin 2019 Bid will however remain available. All classes of Dublin 2019 membership are available for immediate purchase through the Dublin 2019 website at https://api.dublin2019.com/. Full information on membership classes and terms can be found at https://dublin2019.com/join-us/. Has anyone ever gotten a communication from Dublin that they are a Supporting Member due to having voted in Site Selection? Because I haven’t. Well, never mind. I went to their site and requested a login link, and I am shown as a Supporting Member, so yay, all sorted. The family plan sounds handy. I might be seeing you all there with a girlfriend and a 16 month old toddler in tow.